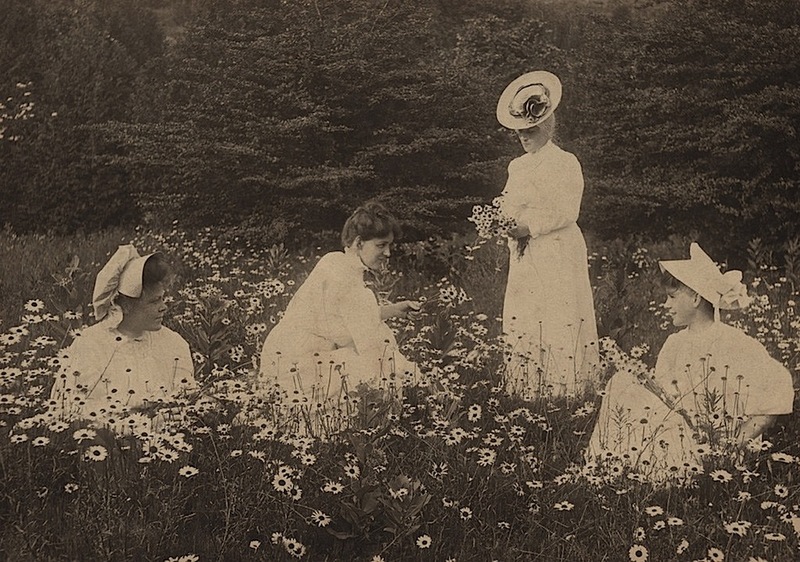 Floe Sallows Saunders, Floe Sallows, Emma Combs Fillman, Lottie Green Langell in a field of flowers in Bayfield, Ontario, date unknown, by Reuben R. Sallows, via Huron County Museum & Historic Gaol Commons on flickr. Fallen in their brightness. . . Previous Post The Sunday porch: the P.O.